Few authors are capable of succesfully combining the established tenets of genre fiction, moulding them and reshaping them and then seamlessly welding them together to create something new, inspiring and unique. Weston Ochse is one of that all too rare breed. Having first become aware of his work via his outstanding Seal Team 666 trilogy and having them moved on to his engrossing Task Force Ombra series, I slowly, but surely, became aware of the fact that Ochse had rapidly become one of my favourite authors. So it was with great anticipation and much nervous excitement that I began Burning Sky, the first of Ochse’s T.S.T. novels. 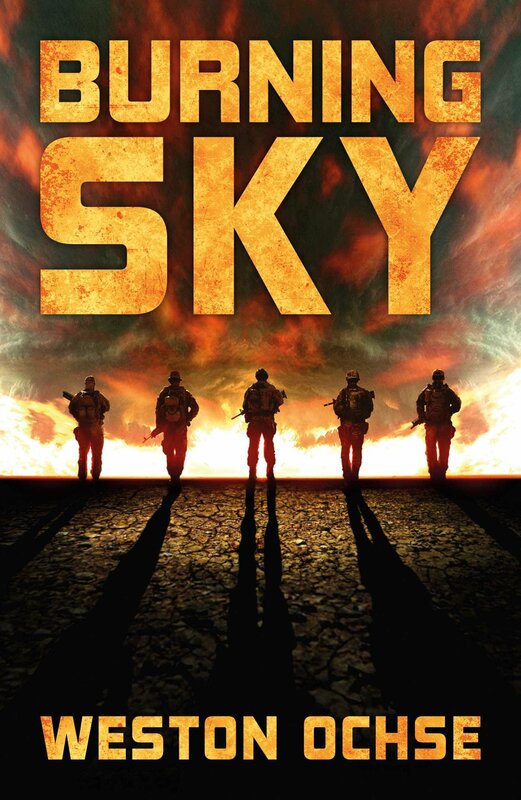 Six hours later, my mind spent and my imagination locked in overdrive, I read the final line, closed the cover, put Burning Sky down, made a pot of the strongest Java I had to hand and then started reading Burning Sky again. 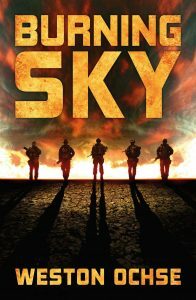 Set in the aftermath of a particularly gruelling encounter in Afghanistan, Burning Sky follows the members of the T.S.T., a tight knit group of private operators, upon their return to their ‘normal’ lives in the US. Out of step with the world and themselves, the people they become when they get home bear little resemblance to the people they were prior to the aforementioned incident, and every day and in every way, they become a little more off kilter with their expected reality and who they know themselves to be. Forced, by an incredibly congruent but peculiar set of circumstances, to accept the conclusion that they need to return to Afghanistan to find out what happened to, and transformed, them in the wilderness. Back on the dust strewn plains of Afghanistan, the T.S.T. discover that the world is far stranger, deadlier and mysterious than they ever dared to imagine as their lives, and everything that they thought they knew about themselves is turned upside down and pushed sideways in violet, brutal fashion as they realise that they can trust no-one, not even themselves, that reality isn’t all that it’s cracked up to be and that only the truth can set them free. But the question that lies at the heart of all of their fates is a simple one. What’s true and what isn’t? Which version of the truth do they need to embrace, where will it lead them and will they like what they eventually find?